As a leading corporate event management company in London and across the UK. Our full corporate event management service includes event consultation, event design, logistics planning and on-site management. Our experienced event management team starts by really getting to understand your company, your goals and why you are holding your event. Our friendly and helpful event planners will work as an extension of your existing team. We’ll tailor our corporate event management service to your exact requirements. We can join you at the start of your event planning journey when you are looking at ideas, or pick up last minute tasks to help you deliver your event. Creativity comes as standard and there will never be a shortage of unique ideas and suggestions for your event. The more challenging the brief, the better! We’ll maximise your budget, keep on brand and deliver a flawless event – every time. Get in touch today to find out how we can help make your next corporate event the best one yet. We work with small, medium and large brands across a wide variety of industry sectors. 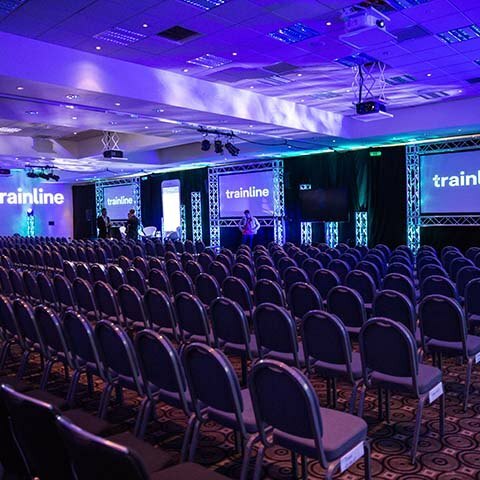 Whether you would like us to manage your next conference, away day, fun day or corporate party, our experienced event management team will deliver an effective and creative solution – and a totally stress-free event for you.